All thanks to this app called CoccoPPa (and no, I have no idea what the name stands for). Most of the theme sets that are shared have limited icon choices (i.e. 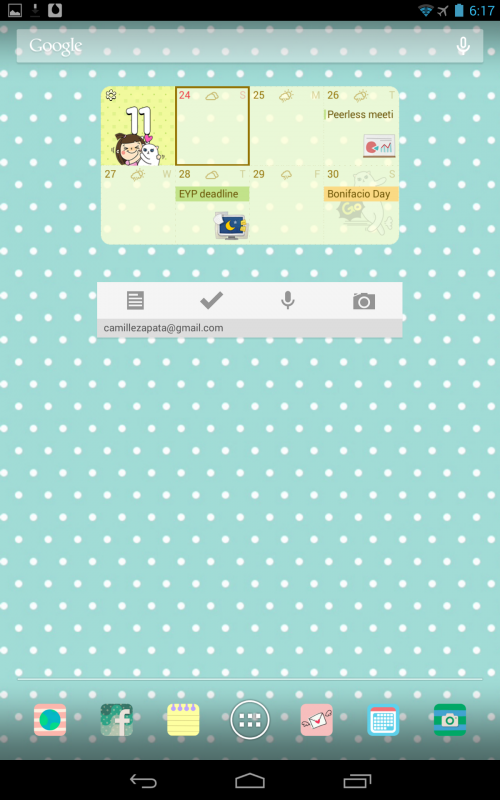 bad usability, haha), so it’s better if you search and download the wallpaper and the icons separately. 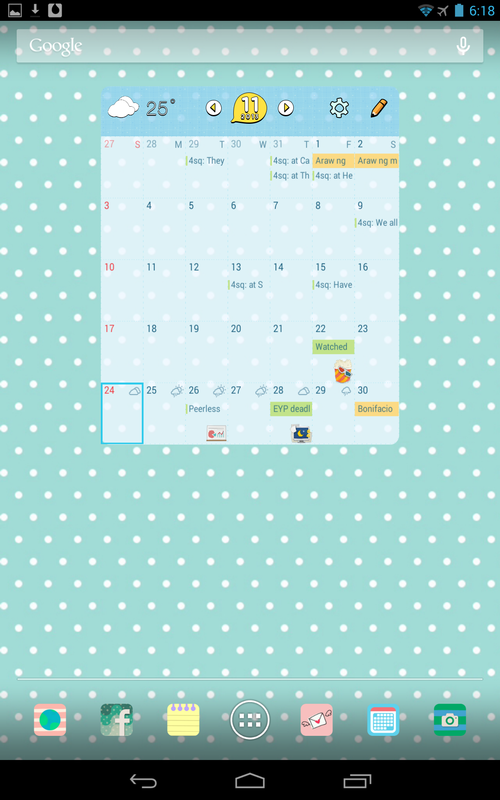 But to achieve a more “Cute Planner” look, you have to install SolCalendar: it has a clean look and design that just fits the cute theme perfectly! 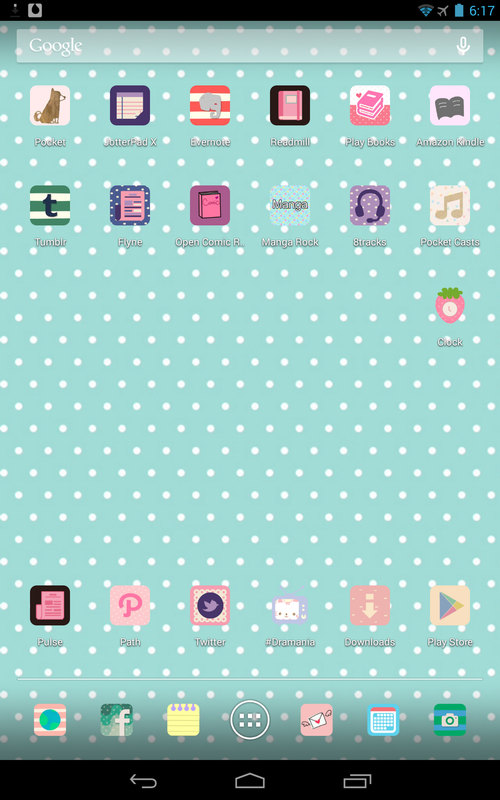 Their widgets have neutral themes so you won’t have to hesitate if you want to go for some darker or monochromatic cuteness. Now, if you want to enjoy the other typical Asian entertainment like I do, I installed #Dramania for my Korean and Chinese drama fix (but they also have Taiwanese, Japanese, and other Asian dramas). The app used to be in the Play Store, but I guess it’s been taken down so you have to download and install the APK from the site, if you still want the app. Meanwhile, Manga Rock is my preferred Manga reader. I had it on my iPad and liked it enough to buy it again just so I can have it on my Nexus 7. LOL. There you go. Now you can be so kawaii, it will make other people barf.